There are always reasons to have an easily portable external hard drive that you can take from computer to computer. There are also many external HD options available for purchase online or your nearest electronics store. Some of these can get a bit pricey though. But what if you already have an extra hard drive lying around whether just extra or sitting within a broken laptop or computer? If you have a working SATA or IDE drive from an old or unused laptop or pc, you can easily buy a cheap external hard drive enclosure to mount the drive into and use as an external hard drive. -Is the connector SATA or IDE? 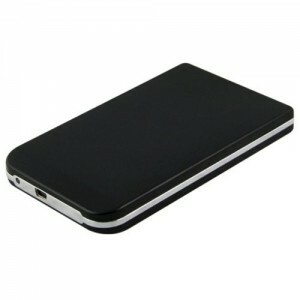 I recently purchased the 2.5″ hard drive enclosure with USB pictured for only $5.98 with free shipping. You can find this one at Amazon here.